Wentbridge House Hotel01977 620444work HotelWentbridge House Hotel is a country house hotel located in Wentbridge. It dates from 1700 and is set in 20 acres of gardens and grounds in the beautiful Went Valley. The hotel is steeped in history and provides a relaxing and peaceful setting that is within easy reach of the cities of Wakefield, Leeds, York and Doncaster. 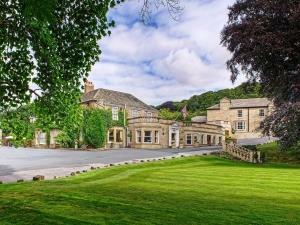 Wentbridge House Hotel is a country house hotel located in Wentbridge. It dates from 1700 and is set in 20 acres of gardens and grounds in the beautiful Went Valley. The hotel is steeped in history and provides a relaxing and peaceful setting that is within easy reach of the cities of Wakefield, Leeds, York and Doncaster. Facilities for children: Cots and Highchairs provided. Children welcome from any age. After 2 miles turn right to Wentbridge.